Tried out some more paints, this time comparing the results at different pressures as well. This time I’ve lowered the pressure just a bit to about 35 psi, which might still be a lot, but it’s always interesting to see what will happen. 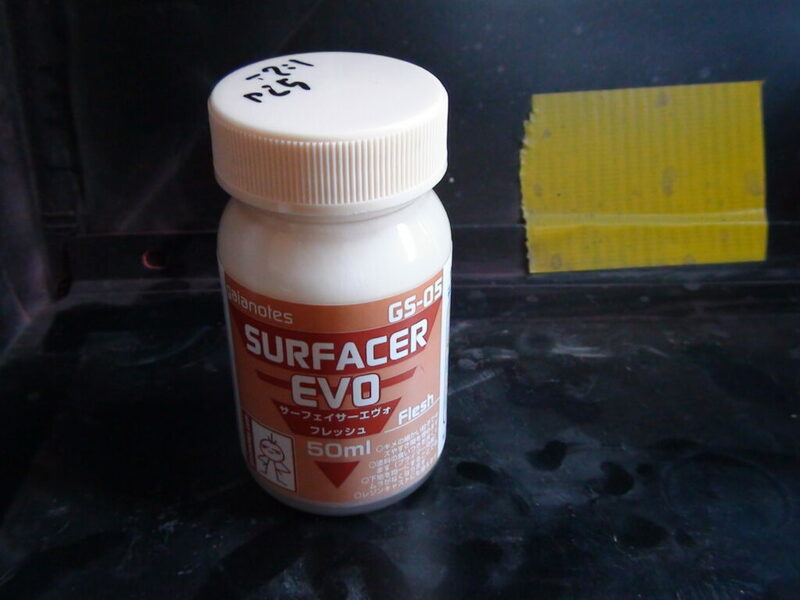 The first test is done with the gaianotes Surfacer EVO Flesh. 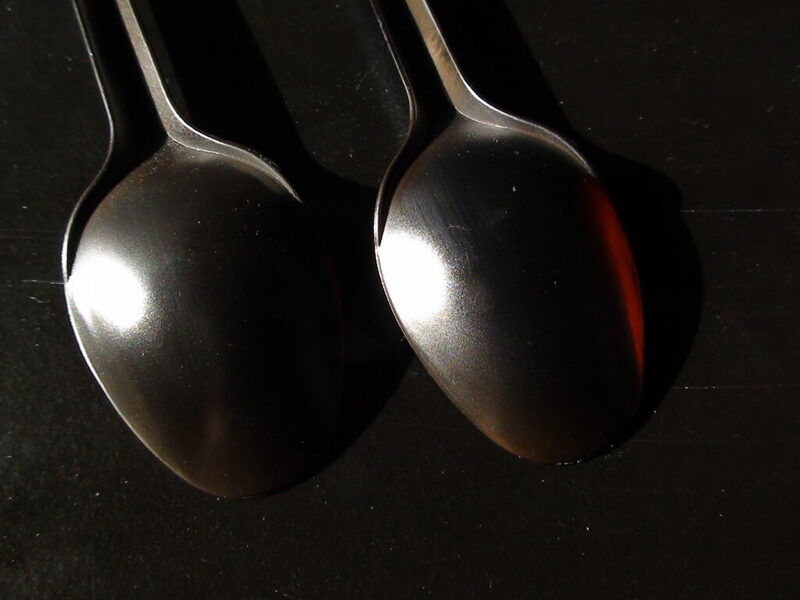 Mixed at 2:1 (thinner to paint), got four painted spoons out of it using 2ml of paint, so just like yesterday about 10 cents per painted spoon. 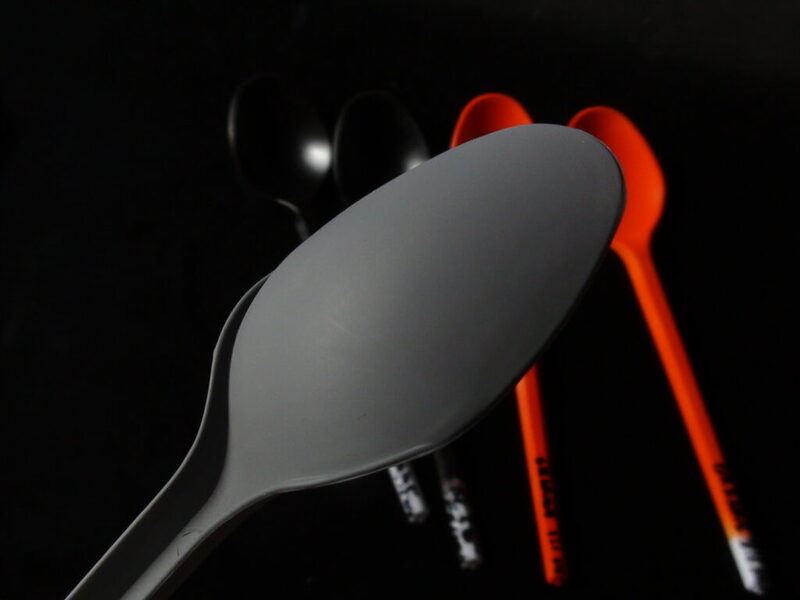 It has a similar coverage as the matte 153 Stone Green. 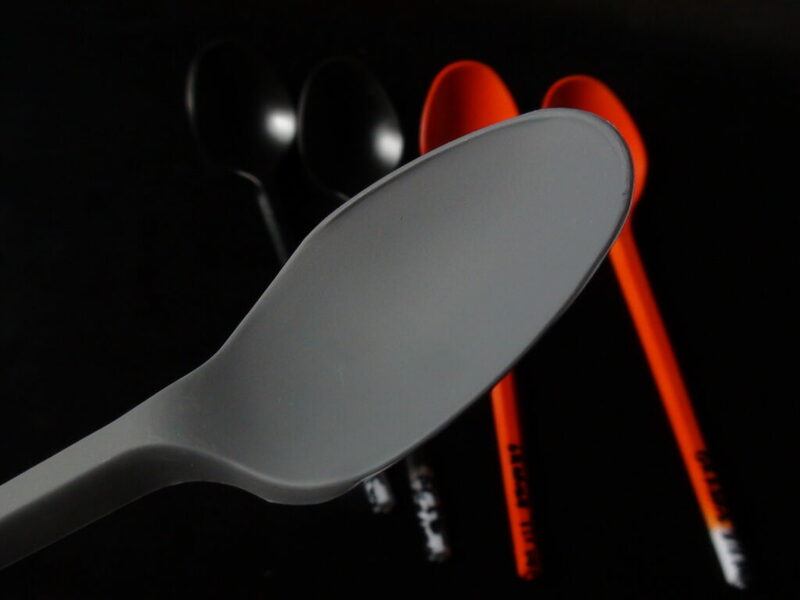 Next is the Plamo Colour Plastic Gray Primer, at the same pressure, mixed 1:1, painted 6 spoons using 6 ml, so again 10 cents each. Coverage seems to be about the same as the gaianotes Surfacer. 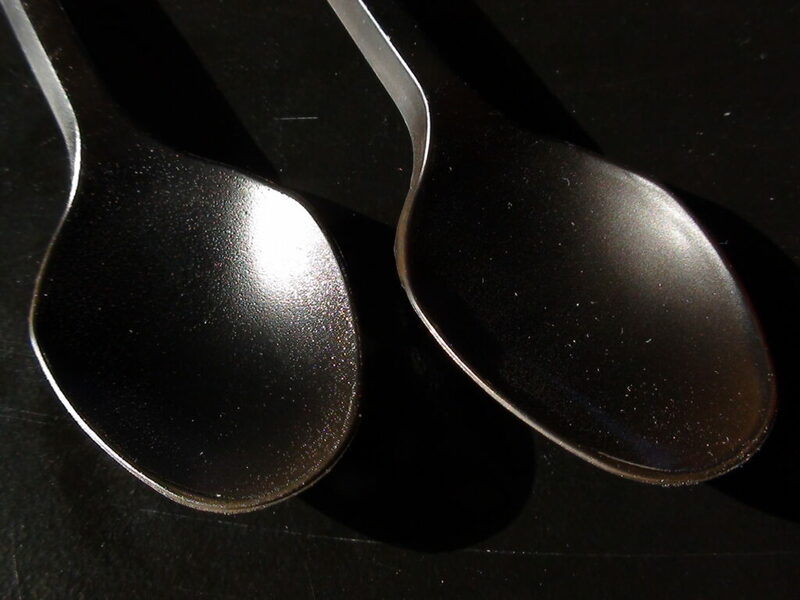 Hitting these repeatedly with a sharp metal object shows that both have a fairly similar surface adhesion. 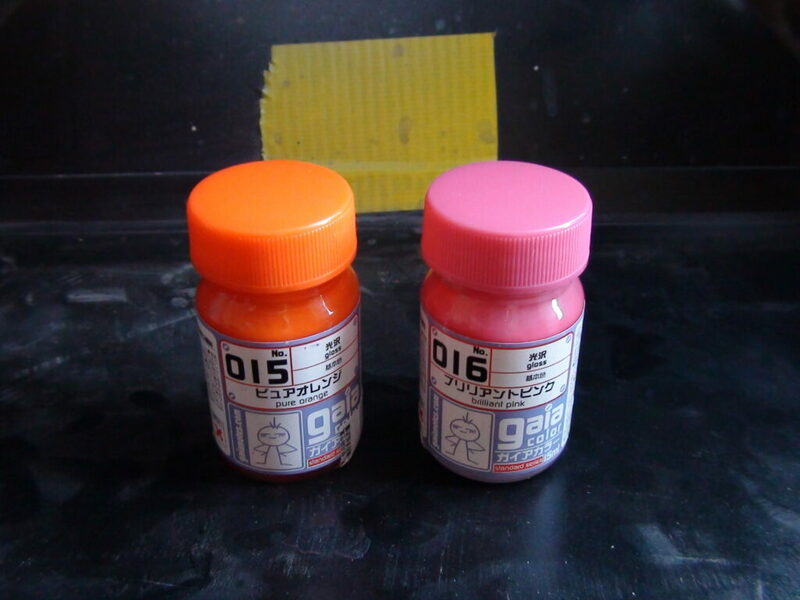 Also did the strength test on the paints directly, gaianotes (green, on the right) seems to have a better adhesion directly to the plastic than Plamo Colour’s (maroon, on the left), but the paints clearly do not adhere directly to plastic as well as the primers. 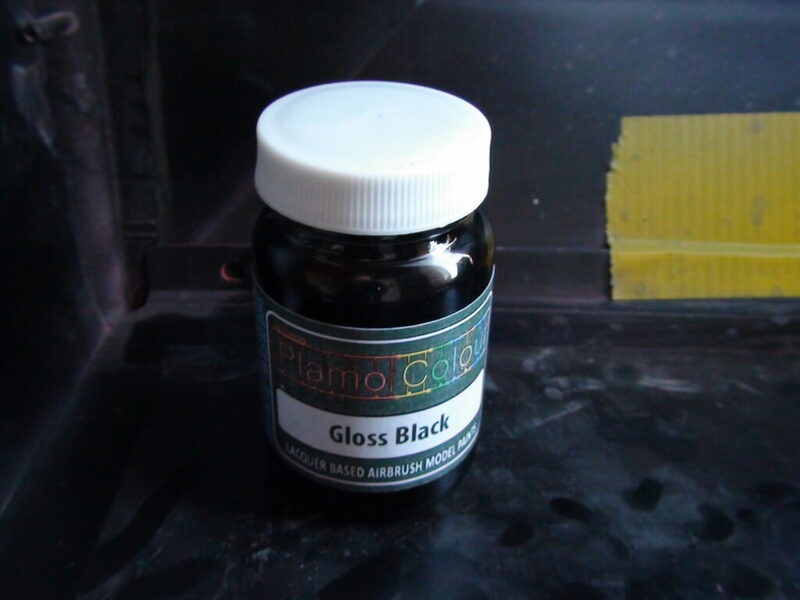 Tried out the Plamo Colour Black as well at 35 psi pressure, again using a 1:1 mix, got 2 spoons painted out of it, so each at 10 cents as before. 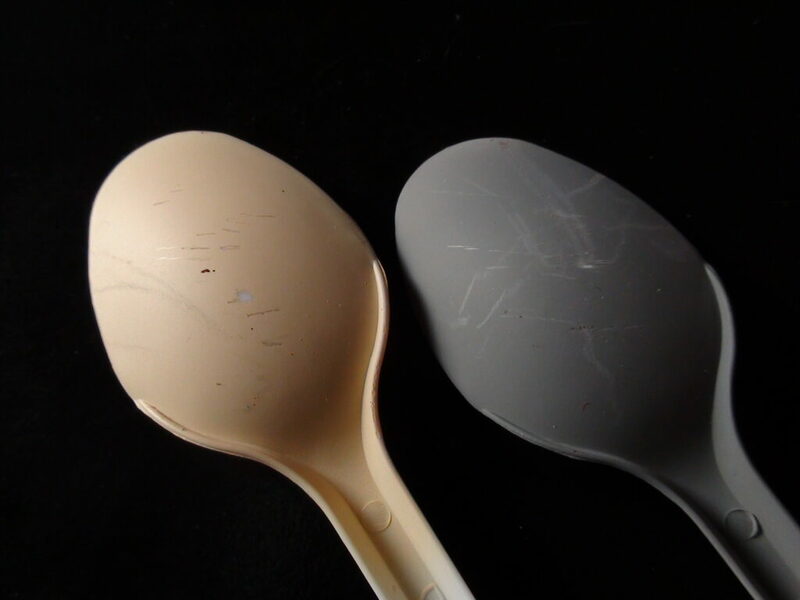 On the left with primer applied below the black, on the right the black painted directly onto the plastic spoon. For the next tests I have lowered the pressure to a more sane 20 psi. 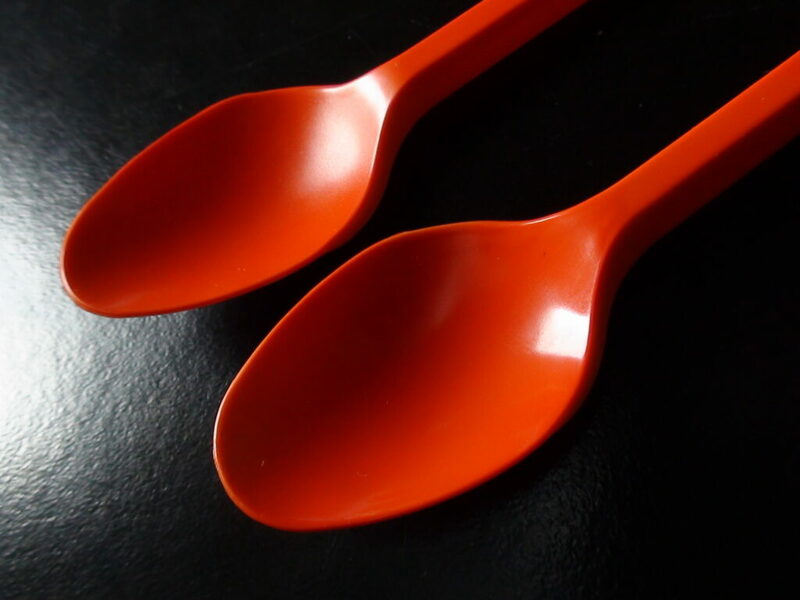 Trying out with Plamo Colour’s Bright Orange, mixed as usual at 1:1. 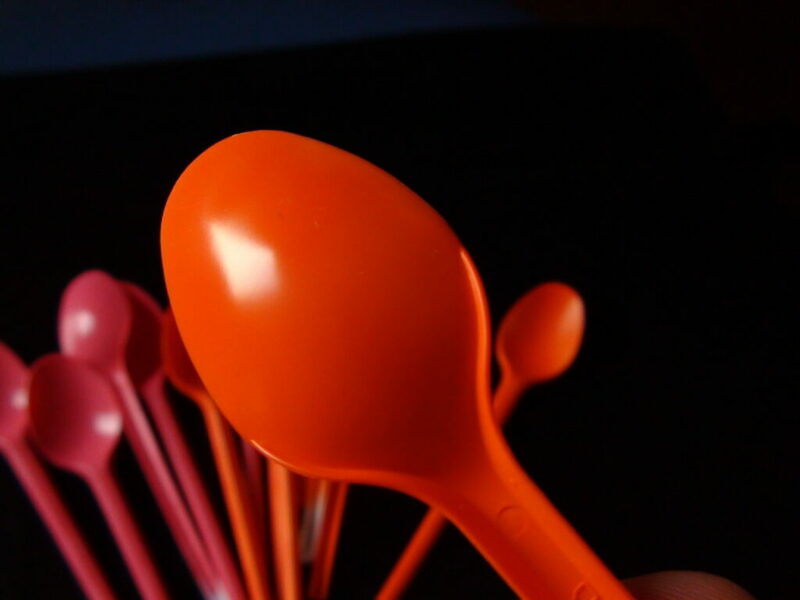 At this air pressure I managed to paint 6 plastic spoons using 2ml of paint, which is only 3 cents per spoon. 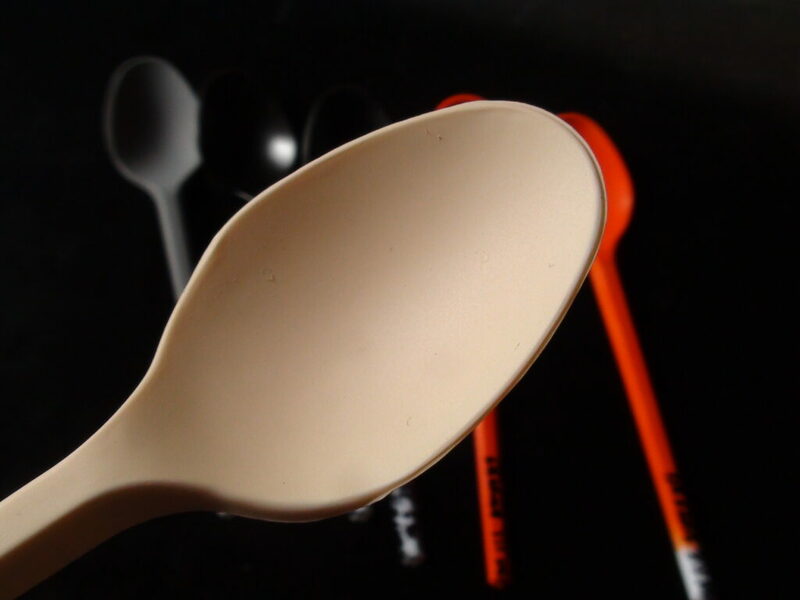 The surface coverage was a lot easier to get even and came out perfect, with a slight satin effect. Using a 2:1 (thinner to paint) ratio in a second test gave a glossier result, used the same amount of paint, but was slightly harder to cleanly paint and probably needs a lower pressure. 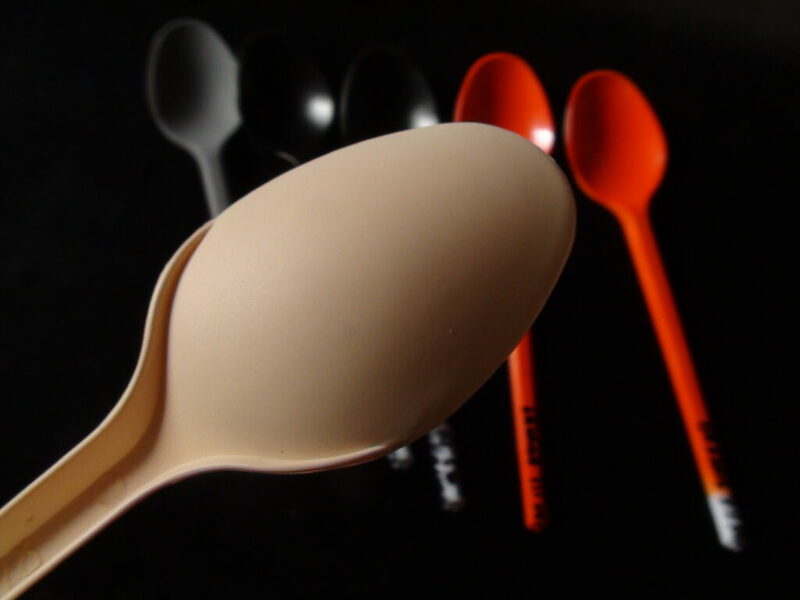 With 1:1 ratio on the left, 2:1 on the right. Finally tried out some gaianotes glossy paints as well at different pressures. 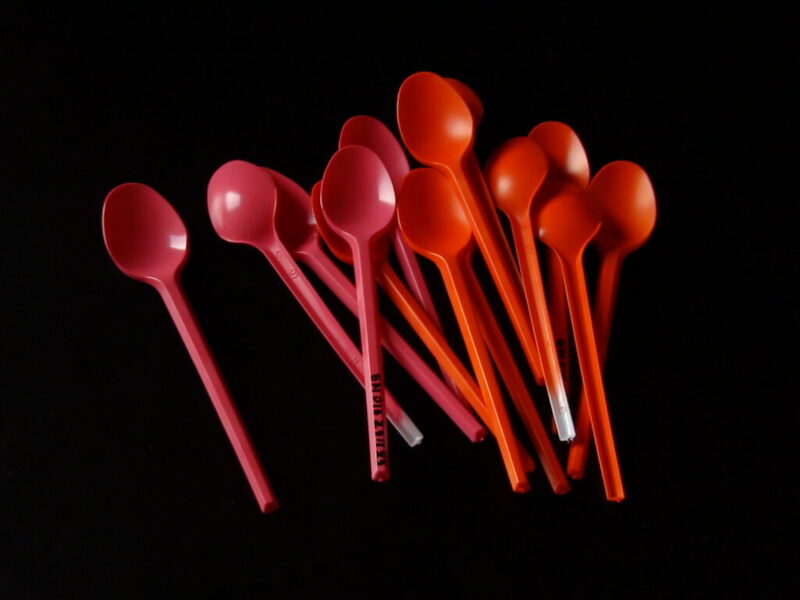 First the Brilliant Pink 014, at 2.5:1 (thinner to paint) ratio, at 35 psi. 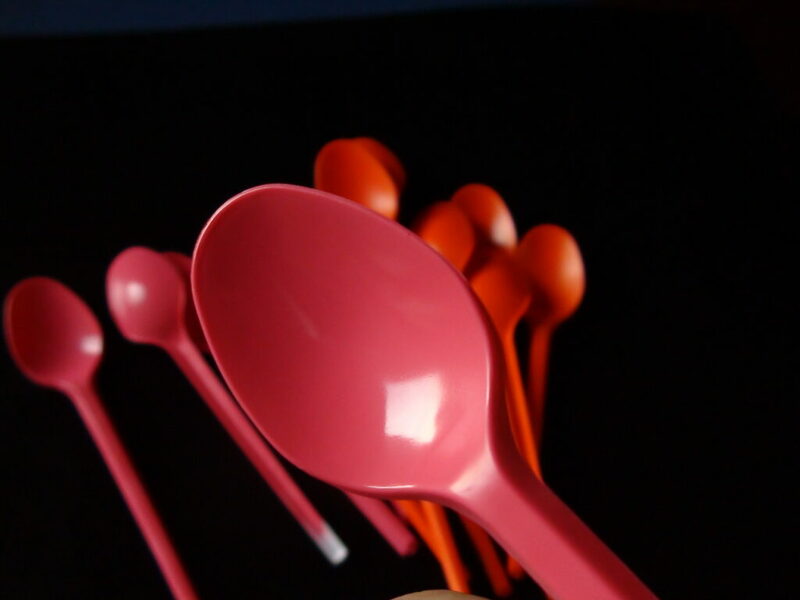 This yielded 6 painted spoons using just 1 ml of paint, which comes out at 3 cents per spoon just like the previous test. 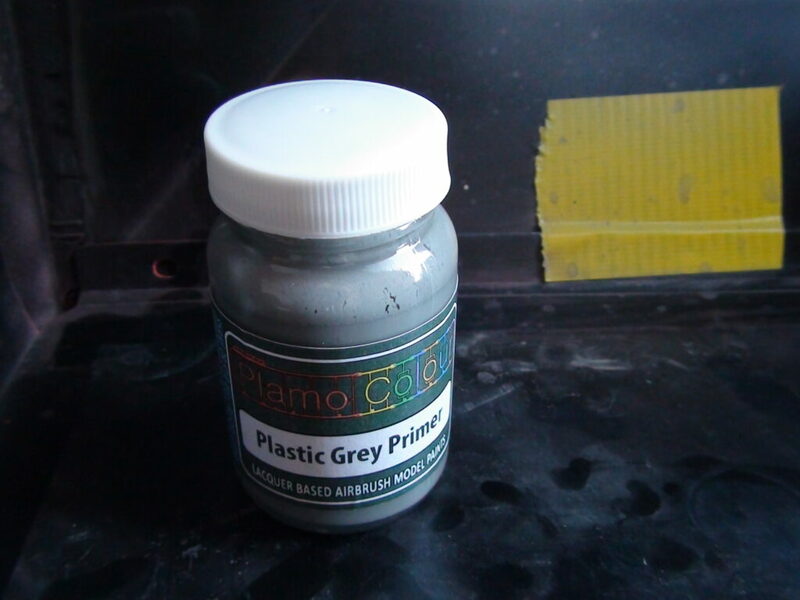 This seems to be a useable pressure to paint at using the gaianotes paints. 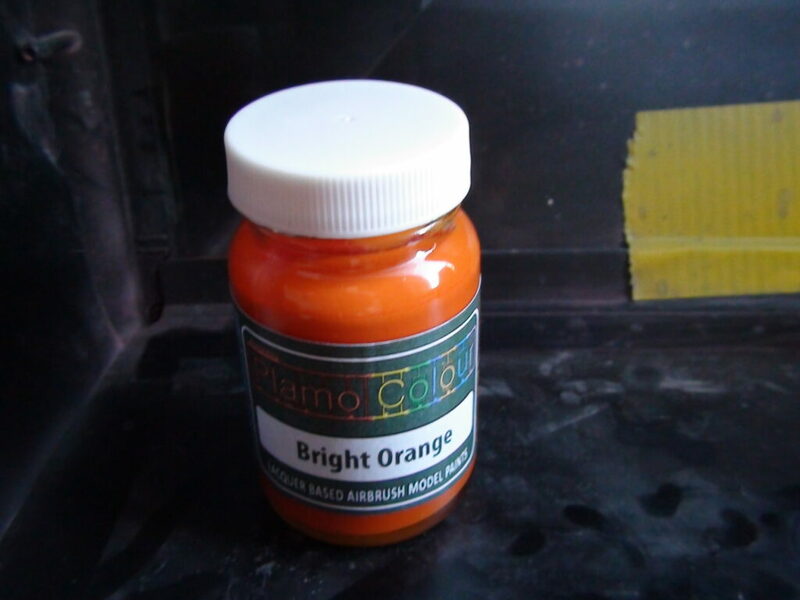 Painting felt similar to the previously tested Plamo Colour’s Orange at 20 psi from the previous test as well. 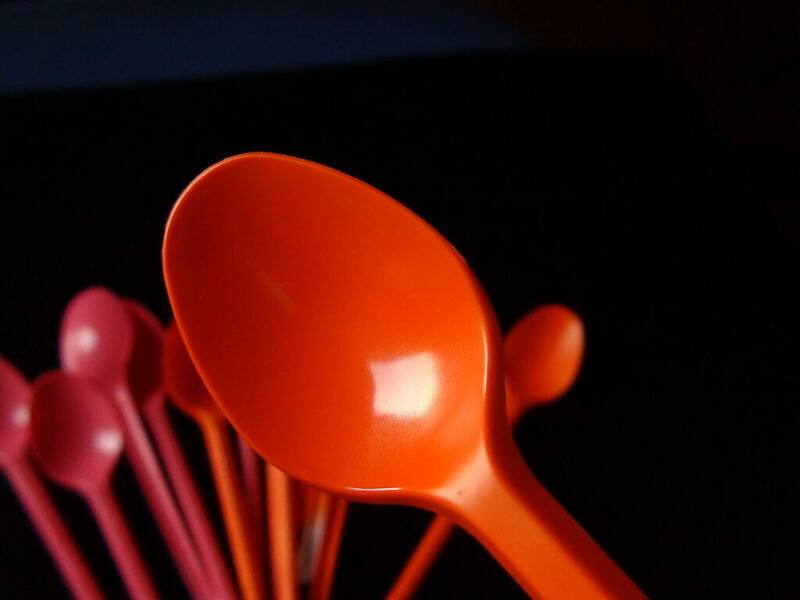 Lastly the Pure Orange 015, also at 2.5:1 (thinner to paint) ratio, but this time at 20 psi. 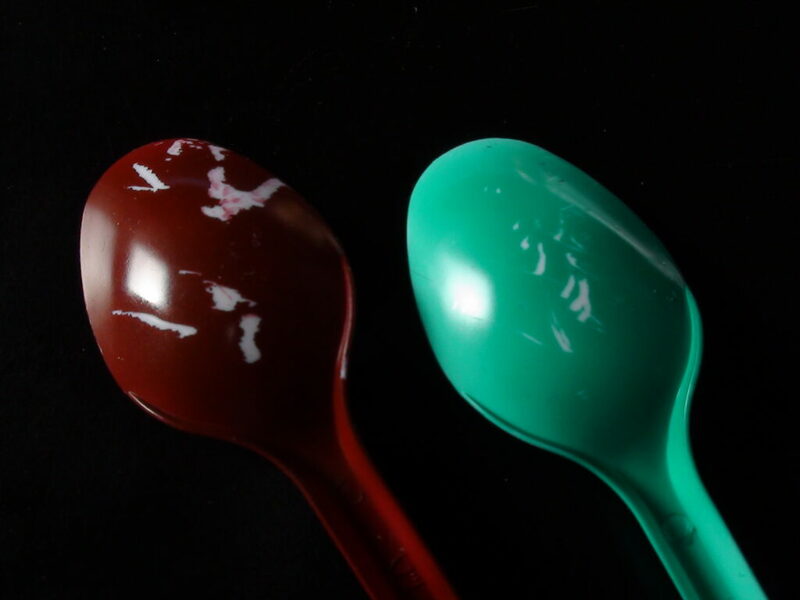 This resulted in 10 spoons getting painted using just 1 ml of paint, which comes out at only 2 cents per painted spoon, which is the cheapest result so far. 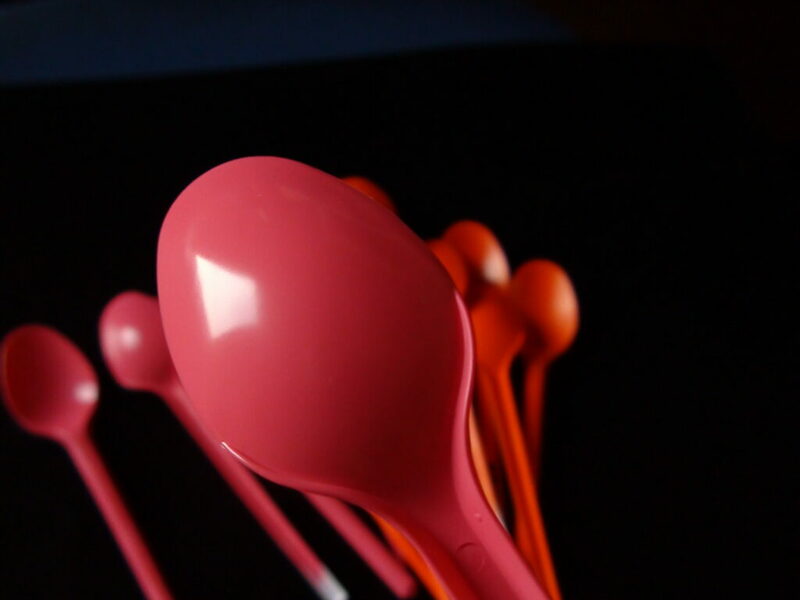 It felt slightly more difficult than the previous test to get a good surface coverage, though. 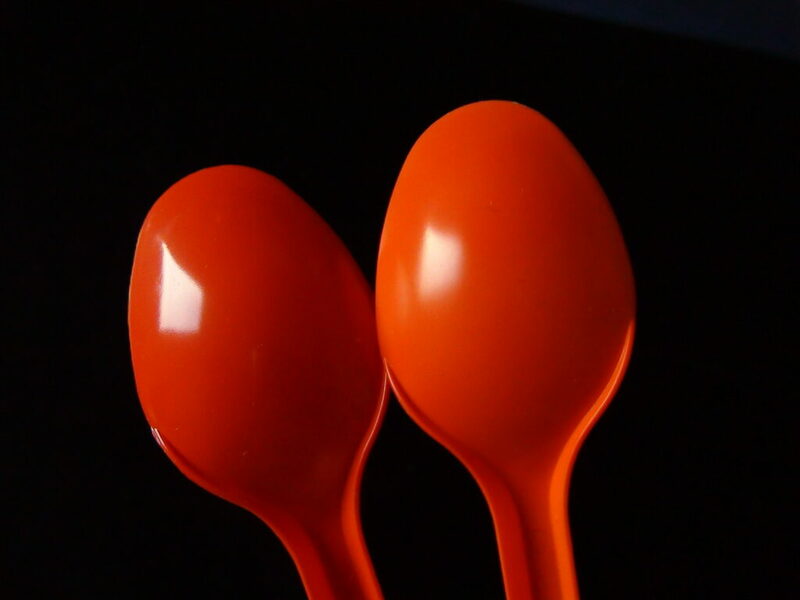 Finally, here’s the gaianotes Pure Orange on the right compared with Plamo Colour’s Bright Orange on the left. 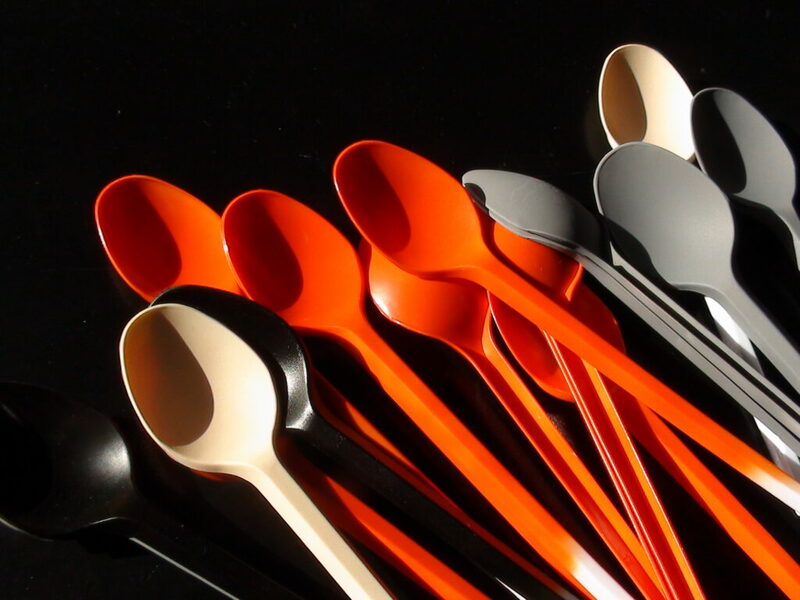 The gaianote’s orange is slightly more yellow than Plamo Colour’s. More tests to follow, but probably not tomorrow.